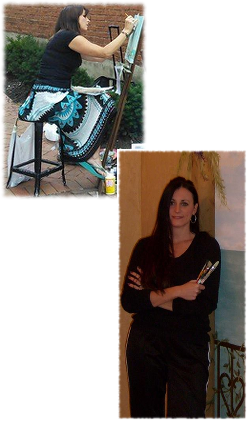 Leah Pruitt has been a mural artist for twenty years and has done paintings for both residential and commercial applications. She can create a mural to fit any style, and size, and perhaps most importantly, any budget. Please click on one of the links on the left to see samples of her work. Also, Leah takes a lot of pleasure in creating mixed media works that inspire joy and happiness.... These are a few examples. She also does commissioned work if you are looking for something specific.